Amaretto Marshmallows, and yes, Amaretto S'mores. You're Welcome. Up until a few months ago, marshmallows were one of those things I could take or leave. The bag would sit in my pantry...and I was totally not tempted to eat them. "I really don't like marshmallows," I thought. And then, THEN, I bought Shauna Sever's books Marshmallow Madness. Y'all....not only does Shauna make marshmallow making easy and FUN, homemade marshmallows are utterly irresistible. Inspired by Shauna's book, and feeling brave since making her classic vanilla marshmallows, I set out to create Amaretto marshmallows. I'm happy to report that they are fluffy, and light, and delectable, but also...Best. S'mores. Ever. Seriously...ever. Oh! 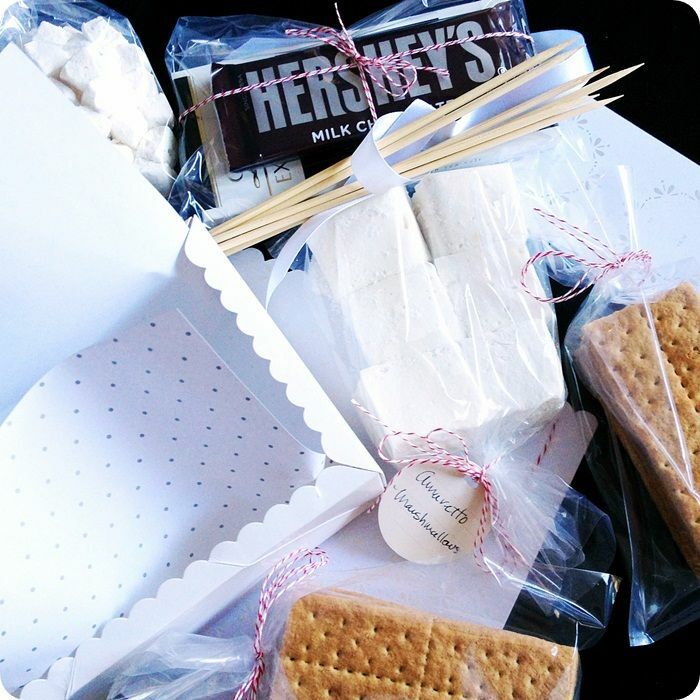 And if you love putting together homemade gifts...how about a DIY S'mores kit? I used one of the darling treat boxes by Martha Stewart (sold at Michael's). I included graham crackers, chocolate (Hershey's, of course, but also a few other options), skewers, the marshmallows, and an extra bag of mini marshmallows for adding to coffee & hot chocolate. To toast the marshmallows without a campfire, pop them under the broiler for a few minutes (I put them on top of one graham square and chocolate), OR just skewer them and toast over the gas flame on your burner. Making s'mores without having to go camping is a GOOD THING. Lightly coat an 8x8 pan with cooking spray. 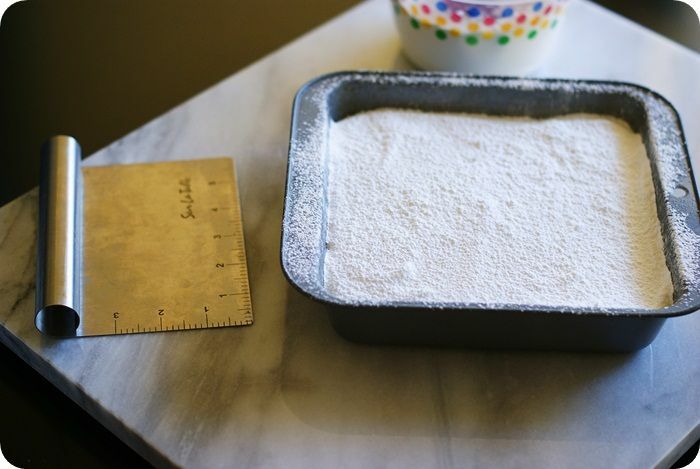 Use a pastry brush to distribute evenly. Coating: Sift together the ingredients for the coating. This makes a lot more than you need and is perfect to have on hand when the marshmallowing mood strikes you. Keep in an airtight container. Bloom: Whisk the gelatin, water, and Amaretto in a small, microwave-safe bowl. Let sit for at least 10 minutes. Syrup: In a medium saucepan, stir together the sugar, 1/4 cup corn syrup, water, Amaretto, and salt. 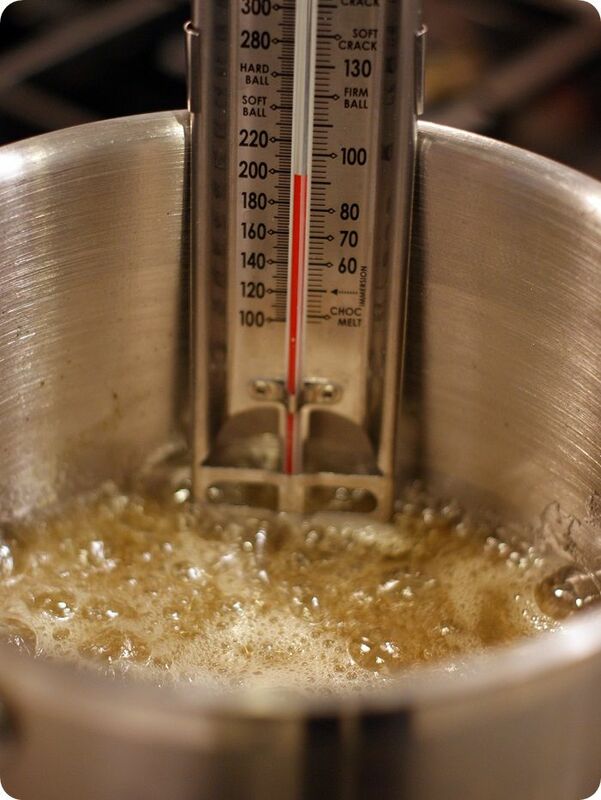 Attach a candy thermometer to the pan, and place over medium-high heat. Boil, stirring every so often, until the mixture reaches 240 degrees. Meanwhile, pour the remaining corn syrup into a bowl of a mixer fitted with the whisk attachment. Microwave the bloom mixture for 30 seconds, until melted and smooth. Add it to the corn syrup in the bowl, set the mixer on low and keep it running while the syrup comes to temperature. Once the syrup reaches 240, slowly pour it into the bowl of the running mixer. Once it's all been added, increase the speed to medium and beat for 5 minutes. Beat for 3 minutes more on medium-high speed. Increase the speed to the highest setting, adding the almond extract and beat for 1-2 minutes more. 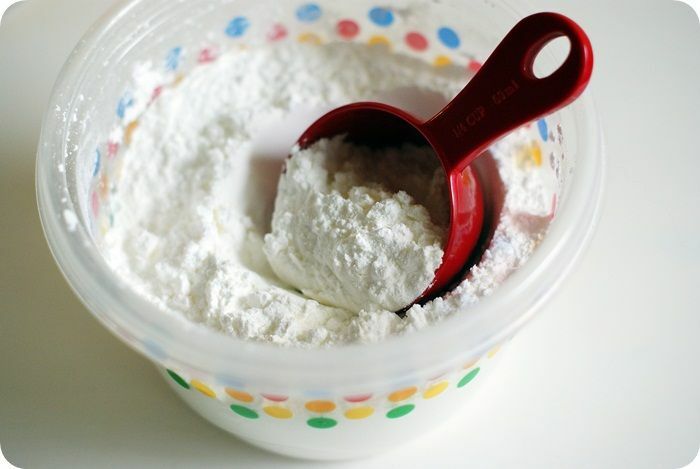 The mixture will be white, fluffy, and doubled in size. Pour the mixture into the prepared pan, and use an offset spatula coated with cooking spray to spread evenly. Sift some of the coating mixture over the top and let set for about 6 hours in a cool, dry place. Run a thin knife around the edges of the pan to loosen, invert onto a coating dusted surface. Using a coated dusted bench scraper to cut into pieces. Dip the cut, sticky edges in more of the coating mixture. All of these tips are tricks were learned from Marshmallow Madness, which I highly recommend if you even have an inkling that you might someday want to make marshmallows. (You do.) Plus, the book cover itself is puffy!!! Have you ever made marshmallows? I want to make mallows! I love them! I would pay you to send me some of these! Pinning! These look so good! 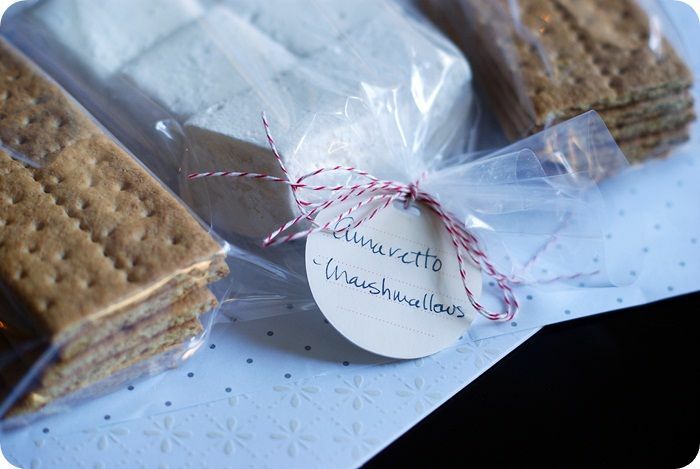 I love Amaretto, and I love homemade marshmallows, so I am SO trying these this weekend! We can't get graham crackers here in Spain (sniff), so 'smores are out, but I so see these accompanying a mug of hot chocolate. Getting corn syrup here is pretty hard, too, actually (I had to mail order mine!). Spare a thought for us poor Spanish marshmallow makers. Thanks for your blog, I love it! Wow, these sound amazing! Would of never thought to add amaretto to the mix. What to try other flavours now - margarita marshmallows anyone?? Those are beautiful! And the gift idea is so cool. Oh, I'll have to try these marshmallows. I have the book, and for Christmas I made the Very Vanilla and Chocolate versions. Everybody loved them! These look amazing. I'm planning on a gourmet smore's bar for my wedding in August and these look DIVINE for it! I'm hoping to get 6 kinds of chocolate, 8-10 different marshmallow flavors, and graham crackers? Well I have 30 different kinds to pare down, so we'll see! Thank you so much for showing these, I think I'll try this recipe first! I will never eat a store bought marshmallow again, they are so easy to make, and so yummy! I never like marshmallows. But this looks amazingly good. Great post! I got hooked on making homemade marshmallows a little over a year ago now. A few of my favorites include fresh lemon, real banana and anise. The Circus Peanut flavored ones were a real hit, too. Last year a friend and I made marshmallows. Our first batch bombed, but she was determined to get them to work. They are wonderful! Yeah, it's hard to ever eat a non-homemade marshmallow ever again after eating homemade ones. Damn you Shauna Sever! Just kidding. I love her and I love you and I love these amaretto smores-y delicious treats! It's so fluffy, I'm gonna die! I love this book and want to try the bubble gum ones. After reading, I went to the store and bought several flavors of seasonal marshmallows. So not the point. 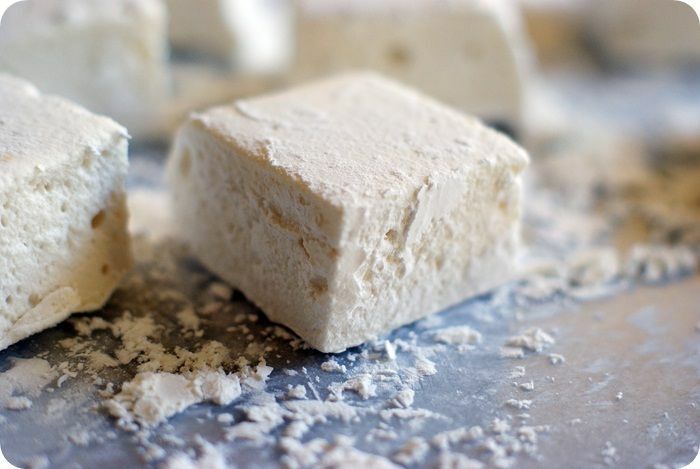 Homemade marshmallows are so much more dreamy. Maybe I need to add a third 2013 resolution, make marshmallows, make macarons, and send more hand-written notes. I think I need a bench scraper! I try to make homemade marshmallows every Christmas to mail with my holiday goodies, but I'm always stumped as to cut them straighter and easier. I love absolutely everything about this post...even the baker's twine! Yep, gonna do these for sure. I've made homemade marshmallows several times and I LOVE them! Sometimes I use cute, tiny cookie cutters to make fun shapes (stars, leaves, hearts, etc.) for gift-giving purposes. But amaretto is one of my favorite things (I always put some in my hot chocolate! ), so these are definitely on my list of things to make! :) Thanks for sharing! I've never made them homemade but have always wanted to. What if we have a marshmallow making party sometime soon? And that twine ... I want some. I have all kinds of things I want to tie up all cutsie. 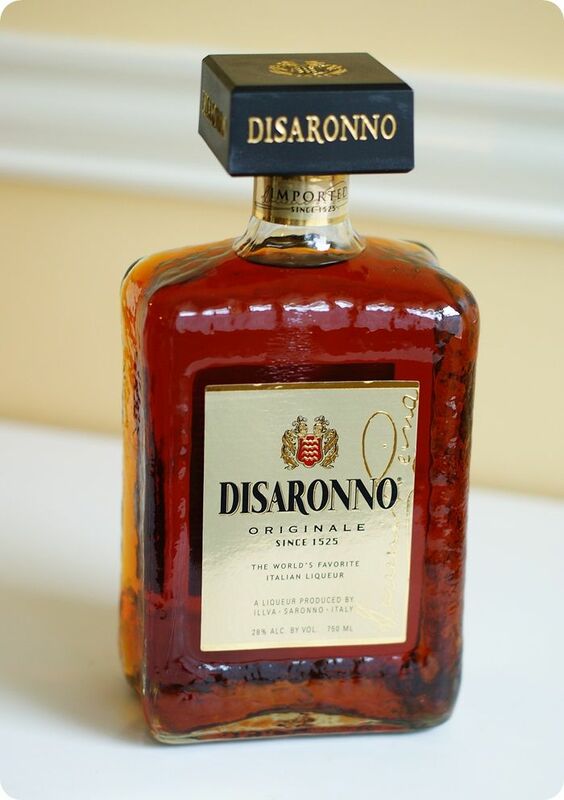 I have that very same bottle of Amaretto in my pantry-- my mother in law bought it when she visited a while back and I haven't known just what to do with it. Now I do-- yeah! These look wonderful. I haven't ever made marshmallows myself, but my youngest would love that! Since you mentioned smores, I had to comment. My youngest is having a birthday party in a couple of weeks, so we borrowed some "have the best sleepover party" books from the library. One of the books had a picture with instructions...blew.my.mind. Crush graham crackers. Melt chocolate in bowl. Put marshmallow on a stick. 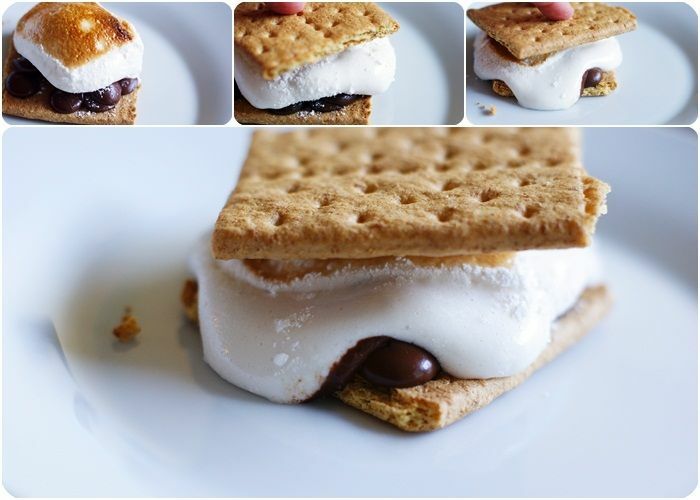 Dip marshmallow in chocolate, coat in graham crackers. AWESOME!!! This is a much better ratio of ingredients for me. We are totally doing it! Oh - what excellent timing! I just bought that book! I haven't tried any yet (it's been quite humid here) but I can't wait to test out the recipes. 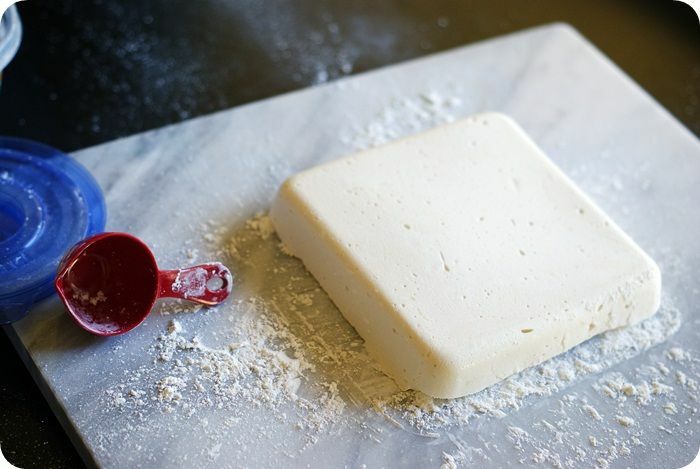 I love making homemade marshmallows! We just had a family get-together and made S'mores. I contributed homemade vanilla bean marshmallows and salted caramel marshmallows!! I have never tried making my own marshmallows, but it is on my to-do list for the near future. Especially after seeing these mouthwatering photos! What someone doesn't like Baker's twine?! Whaaa? You made me laugh! These marshmallows look amazing! I have made them once and it didn't go well. You make me want to try it again. Oh wow, wow, wow! These marshmallows look AHmazing! Not to mention your stunning photography! But...I LOVE baker's twine. There's an anti-baker's twine faction? Also, these look amazing. I've never made marshmallows before but I'm clearly going to have to start. I have never made marshmallows before, but I have to admit, this is VERY temping! Your marshmallows look delicious! And I love bakers twine. I use it for more than baking. These look so good! A client of my husband gave him a big bottle of Amaretto for Christmas. I'm not a fan of drinking it but I'm becoming a fan of baking with it. I love to make marshmallows. 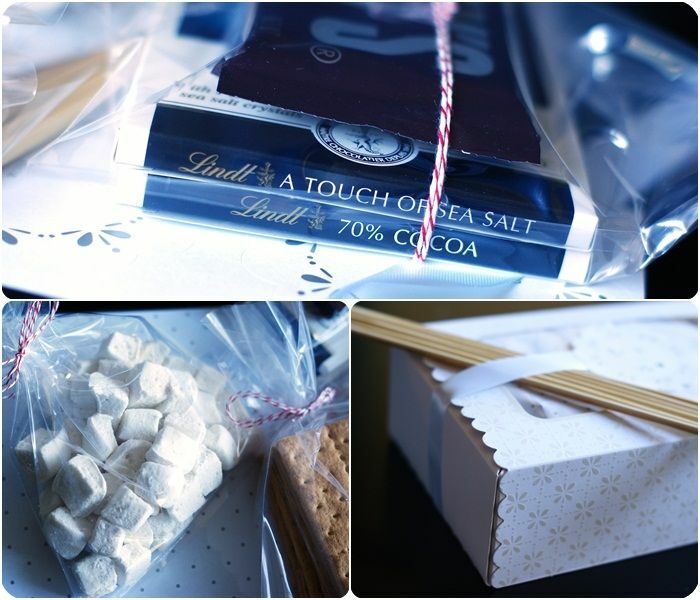 I ran out of time at Christmas --I wanted to do cookies and cocoa gifts with yummy marshmallows. Well, I guess now would be a good time to make the, too! Thanks for the "sweet" reminder. oh how wonderful. so happy I found your blog Hugs! I don't know why but candy thermometers scare me. I really should invest in one. With 2 teens in the house I'd make a batch and they'd scarf it down in seconds! They look divine! 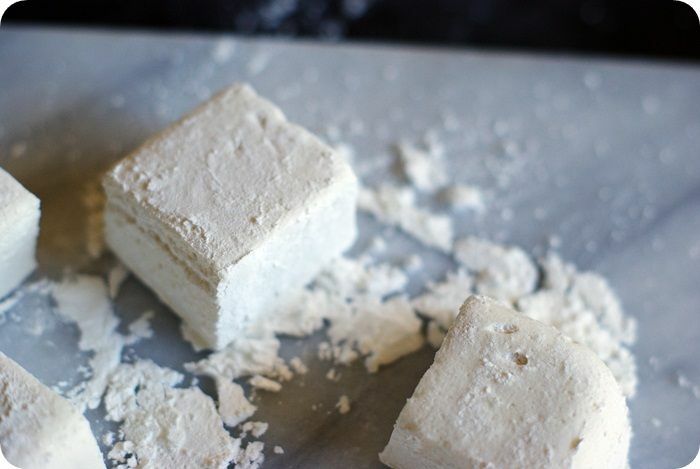 Homemade marshmallows are so different from store-bought. I didn't believe the difference until I tried it myself. The addition of amaretto sounds wonderful! I'm not even a marshmallow fan and I find myself craving yours like a pregnant lady! Gorgeous photos Bridget! I have never ever made marshmallows! But I have always wanted to! Looks like a trip to the bookstore is in order! Thanks to this ridiculous cold in the Midwest, I have been making marshmallows almost once a week and sharing them with as many people as I can. 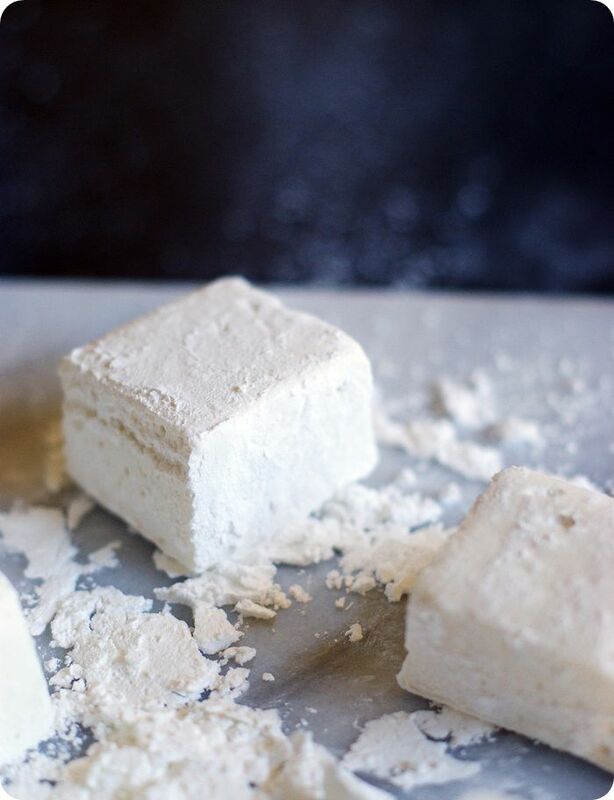 Homemade mallows are a whole new world and I love your amaretto idea! Have you ever tried Reese's s'mores?! The milk chocolate melts perfectly and the PB adds a whole new level of salty sweet goodness. Yum! I think I'm in love...no wait, I am in love. 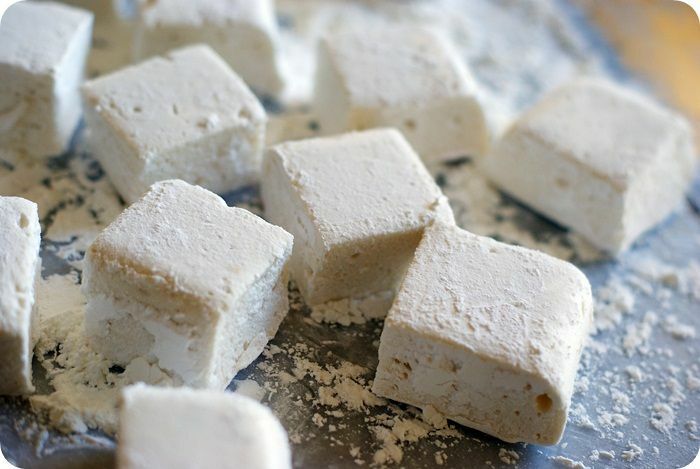 I have never made amaretto marshmallows! But, gosh, you make me want to! My favorite flavoring is amaretto. I adore amaretto truffles. But this clever recipe sounds divine. Your pictures are wonderful and I love those inexpensive glad containers. I'm always on the lookout for new, cute patterns. Have a great day, talented Bridget! I'm not much for marshmallows, but this looks amazing! I love this recipe. Follow your blog. This looks like a wonderful treat. I've never made marshmallows before. But by the looks of this, I just can't wait to start making them. I make batches upon batches of peppermint marshmallows in December. Hi Bridget, question for you! How long do these stay fresh? I'd like to make them in advance (three-four days ahead) for a weekend trip. I'm worried that the Houston humidity will ruin them, even if I store them in an airtight container.. suggestions? Ever since you posted this recipe, I've made these exact marshmallows at least once a year at Christmas. I have gifted them, I have devoured them, I have melted them in hot cocoa, I have shared them, I have failed them by using a different brand of gelatine after moving to different country... But above all, I have LOVED them and will continue to make these treats every single year. It has become my very own Christmas tradition, if you will. Thank you so much Bridget, for sharing this recipe. It has brought me years and years of joy! Oh wow! Thank you so much for coming back to comment! Merry Christmas!